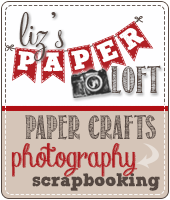 Liz's Paper Loft: Jinger Adams Free Printable Banner! Happy Monday paper lovers! 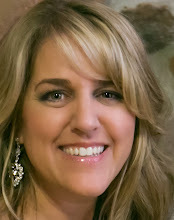 I know you've heard that Jinger Adams has a new paper and embellishment line! But have you heard that she also has FREE Printable in here online store? Well she does and they are so CUTE!!! 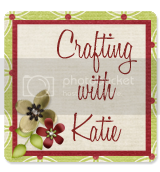 Katie from Crafting with Katie and I are both showing you different ways to use these fabbie printables! So make sure to see what she came up with too! This banner took me less than 30 minutes to complete! 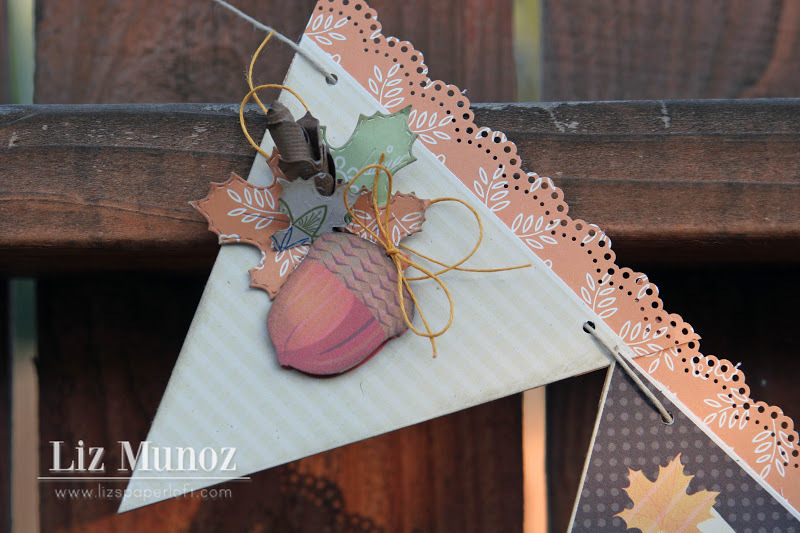 So you could easily whip one out for your Thanksgiving Day Celebration! 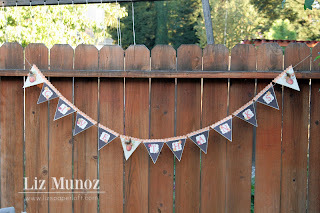 I added a punched border to each of the pennants! And on the ones with the acorns, I printed 6 and cut out three of the acorns to pop them up. I also used My Creative Time leaf dies with Jinger's Gypsy Queen Collection! 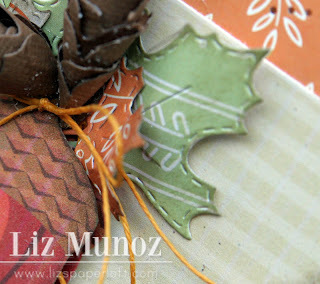 Oh and the pine cones are made with My Creative Time Rolled Flower Die. 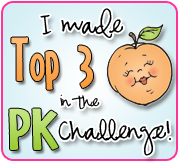 You can click here to see a video on how to make them! I inked the leaves and acorn, and added some gold thin hemp for more texture! 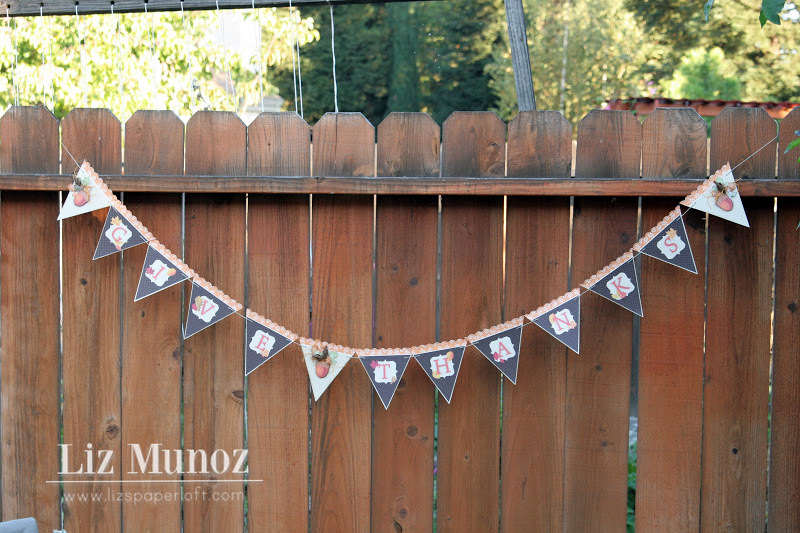 The last thing I did was to string the pennants on thick hemp! Plus you will recieve a small gift as my thank you! 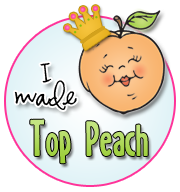 You can click HERE to go to my Boutique! This is gorgeous!! I love the scallop at the top and those accorns are so creative! This is so pretty, Liz! 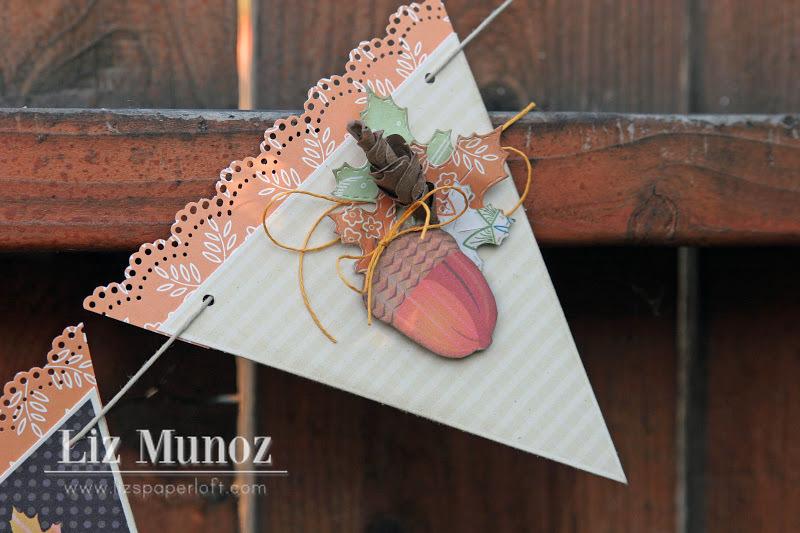 I absolutely love your acorn with the pinecones, and your scallop is so pretty!!! this is gorgeous Liz! love all the embellishments! Beautifully crafted with gorgeous attention to detail! 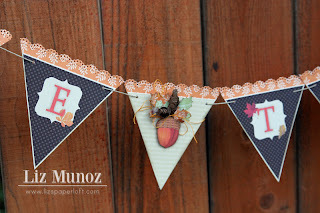 Liz ~ Your banner is just STNING! LOVe what you did with the papers here!! All the elements look AMAZING!! 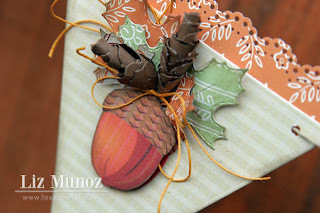 The details are just FABULOUS and I MUST make those pine cones soon!! LOVE them!!! 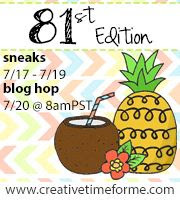 Get ready for a little stalking!! I am rather behind!! !